Strange Heat Production: About 30 years ago I was part owner of a research and development company. We were trying to develop a number of inventions as well as provide consulting engineering services. We had a PhD physicist helping us with some of the more sticky technical issues. One day the physicist showed me a copy of an engineering report he had obtained from a well-known engineering company in the Denver area. The company asked us to review and comment on the report. The report described a strange heat phenomenon, which had stumped some of their top engineers. Since it has been over 30 years, I'm a little sketchy about the details, but I still remember most of the important data. 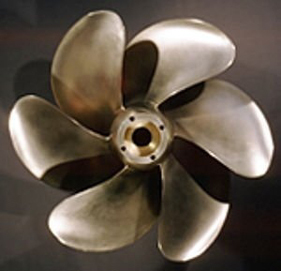 An inventor was developing a new type of propeller for use in high speed racing boats. To test his props, he built a large water tank. 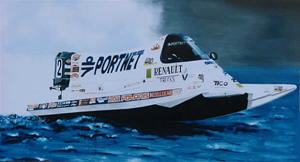 At one end of the tank he built a powerful engine, similar to the type used by the racing boats. The shaft from the engine ran through a watertight seal that extended into the tank. Connected to the shaft he had a number of sensors, which could measure the speed, torque and thrust of the propeller. Using such a system he could test various propeller designs. According to the report, the inventor noticed that after running the system for a while, the water in the tank became quite hot. He was also having problems getting consistent speed and thrust measurements. So, he asked for some help from a local engineering company, known for its experience in heavy industrial measurements. The engineers quickly solved the inventor’s instrumentation problems but were intrigued by the rapid rise of temperature in the water tank. 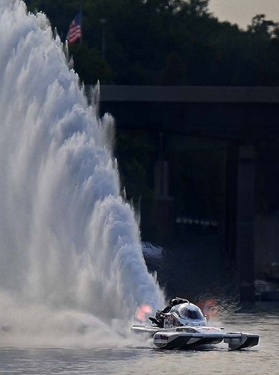 They indicated in their report that the racing engine had its own closed circuit cooling system and did not use the water in the tank. Their report went on to say that the only source of heat in the tank was the frictional heat from the spinning propeller. They ran many experiments. They carefully measured the volume of the water in the tank, the approximate heat loss through the tank walls and the rate of temperature rise of the water, as the propeller spun. They repeated their tests several times and got similar results. But, they could not explain the rapid rate of temperature rise, which seemed to exceed the shaft power multiplied by the operating time of the propeller. The water temperature rise measurements even seem to exceed the estimate of the energy content of the fuel during a test session. They were completely perplexed. How could the temperature of the water in the tank increase at a rate higher than possible? Their measurements seemed to violate the conventional laws of physics. The inventor was not trying to sell his system as a water heater; he was trying to sell speedboat racing propellers. So, there did not appear to be a motive to hide something, like an auxiliary heater some place. The engineers double and triple checked all of their measurements and could not find any gross errors. They walked away from the system shaking their heads. They just could not figure out where they were making an error in their analysis of the system. So, they sent a copy of their report to us to review. The PhD physicist and I looked over all the calculations but could not find any faults either. I called this phenomenon “thermal tunneling” since it seemed like the water could be heated more rapidly than otherwise possible, like it “tunneled” its way through from one temperature to another. It would have taken a large error in the measurements to explain the results. The engineering company was well respected and we didn’t think their engineers could have missed something as simple as a X10 error in the water tank volume or an equal gross error in their temperature measurements. Like them, we could only shake are heads and chalk it up to as something unknown. Decades later, while searching on the Internet one day I ran across an interesting video about a company who also has a strange heating device. If true, perhaps their machine is tapping into the same unknown thermal tunneling affect that the propeller used. I have listed a link to this story below. Let me know what you think.